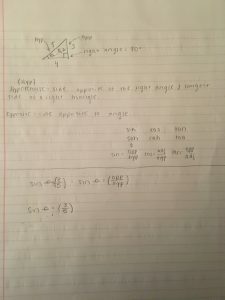 To solve for a right triangle, depending on the information given you can use the Pythagorean Theorem and/or trigonometry to solve the triangle. When you have a right triangle (one angle is exactly 90 degrees) you can use trigonometry to solve the triangle using the sin cos or tan function. These functions also are known as soh, cah, toa. Using the information given for the triangle above, we know that we have the hypotenuse and the opposite side measurements of the triangle. 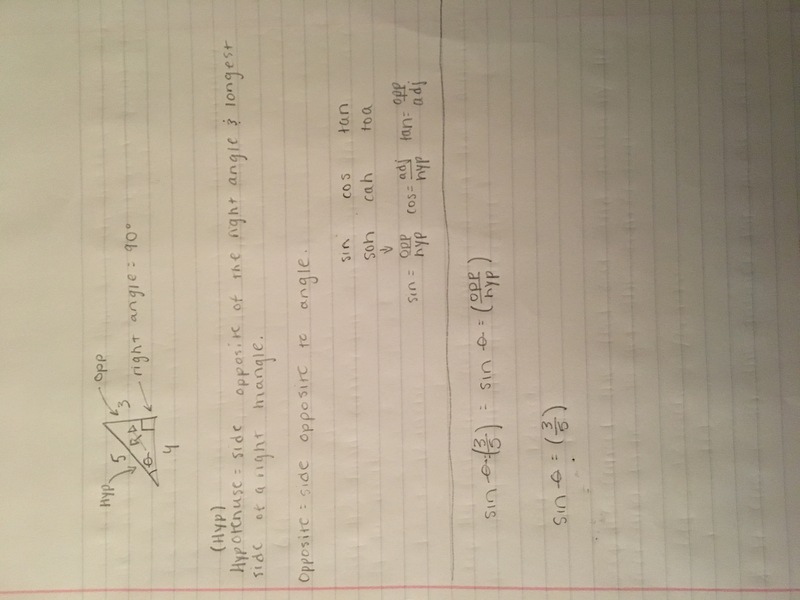 So we can use sin, because sin equals the opposite side length of the triangle over the hypotenuse side length of the triangle. After solving the equation for this right triangle we would then type the equation into the calculator using the proper function to get the correct answer.